Important updates re: the May and June upcoming events! 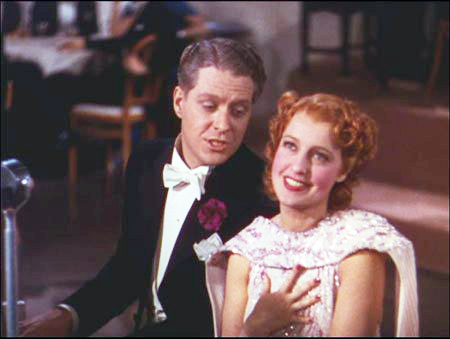 The Jeanette MacDonald and Nelson Eddy events upcoming are going to be AMAZING. Two are upcoming and information about each plus tickets are at these links: Sturbridge, MA on May 1st, and Los Angeles on June 26. I am not going to discuss the literally mind-blowing new information that will be presented at these meetings, and anyone who is helping me put either of these events together is advised NOT TO MENTION A WORD OR HINT ANYWHERE or on social media as to what will occur at either one of them. The program that was originally scheduled to be presented in Los Angeles contains very vital information that most people were unaware of. For this we had a few guest speakers lined up to present this jaw-dropping info and get it on record. However, the speakers scheduled for LA have as of this week all been shifted to the Sturbridge event which will begin, by the way, by my playing my recent audiotaped interview with the gal mentioned in an earlier post, who was in the Houston Methodist Hospital on the same floor as Jeanette because Michael DeBakey was her doctor as well. She discusses how one particular day Nelson, who was staying in the hospital “family room”, was frantically running up and down the hallway, alternately angry or in tears, going in and out of Jeanette’s room trying to get faster help for her, etc. Then in Sturbridge I will speak on other matters and we will present the fascinating program that was originally planned for LA. In my honest opinion, if you are able to manage it you should attend BOTH meetings, as the Sturbridge in a way sets the stage for some information that will be discussed later in Los Angeles. In recent years, probably the most important and highly emotional LA event was the one in which Madeline Bayless brought the actual gold charm bracelet that Nelson gave to Jeanette. Last June’s event was also one of tremendous emotion and new information. This June promises to AT LEAST match the the intensity and revelations of those mentioned above. We will have to make a decision on how much of the event video will be posted online due to the nature of the material. So if you care about finally solving some decades-old mysteries that have eluded us with this story, or want to be there to witness a truly amazing afternoon, I again suggest that you make every effort to attend these events if at all possible. We need a fairly accurate head count for food so I’m asking you to make your reservations THIS WEEK for either event. Again, the ticket links are here: Sturbridge, MA on May 1st, and Los Angeles on June 26. « Health update on Bernadette Schwartz, our social media mod	» Jeanette & Nelson tribute show in Dublin, Ireland! sharon, thank you for this information. will look forward to reading all about this special may 1st meeting. sorry i am unable to travel and be part of this day. thank you for all your research and time to make things right for jeanette and nelson.